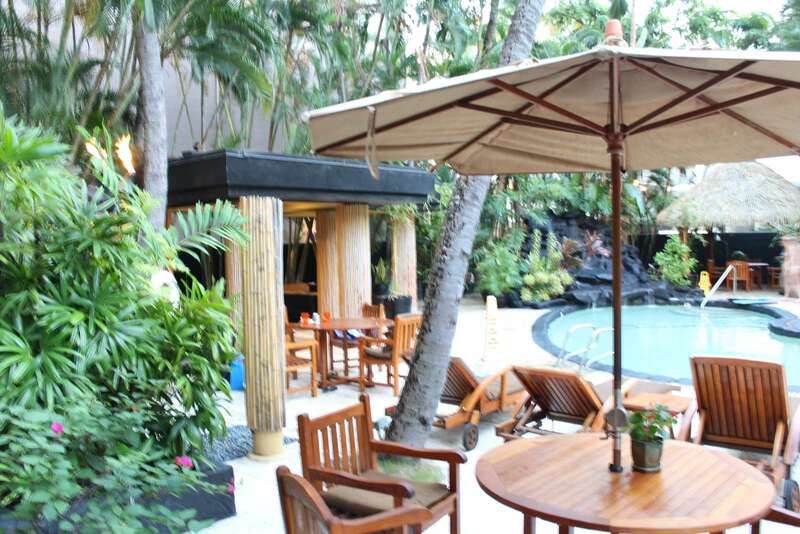 Our pool area is quiet and lush in the heart of Waikiki Perfect places for lunch or meetings Our building Relaxing pool deck with ample sun loungers We look forward to welcoming you. 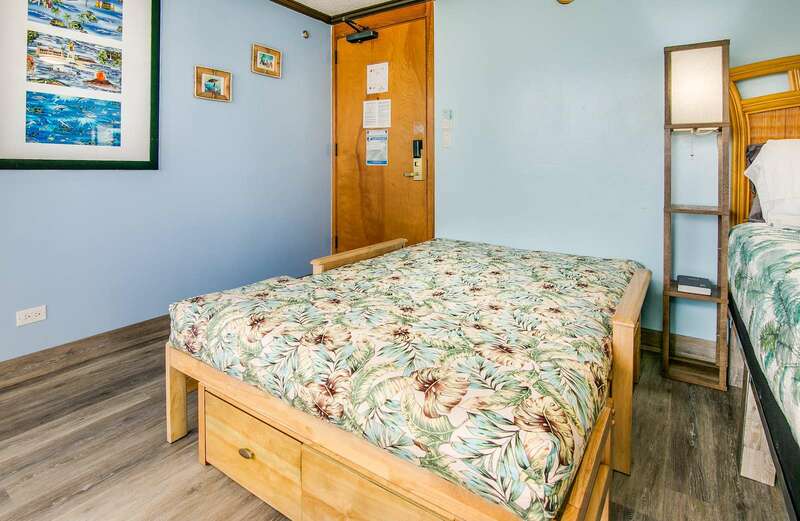 Comfort, Spacious Suite with HD TV, Cable & WiFi Don't forget to bring your yoga mat, there's plenty of room 🙂 Comfortable queen mattress and new Hawaiian bedspread USB port by the bed to recharge devices foldout sleeper futon foldout sleeper futon (made-up) Full kitchen with large fridge and oven etc. 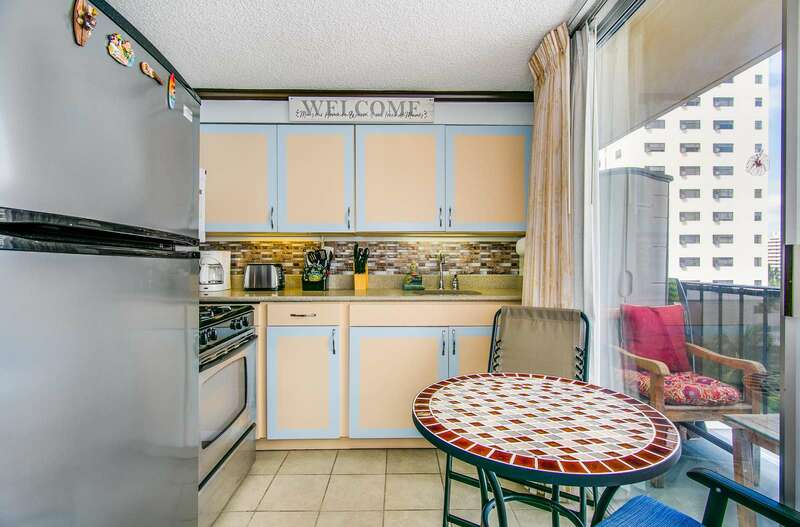 Breakfast table next to second lanai gas stove and modern microwave Plenty of dishes in the various cupboards Pots and pans, clean and ready to go! 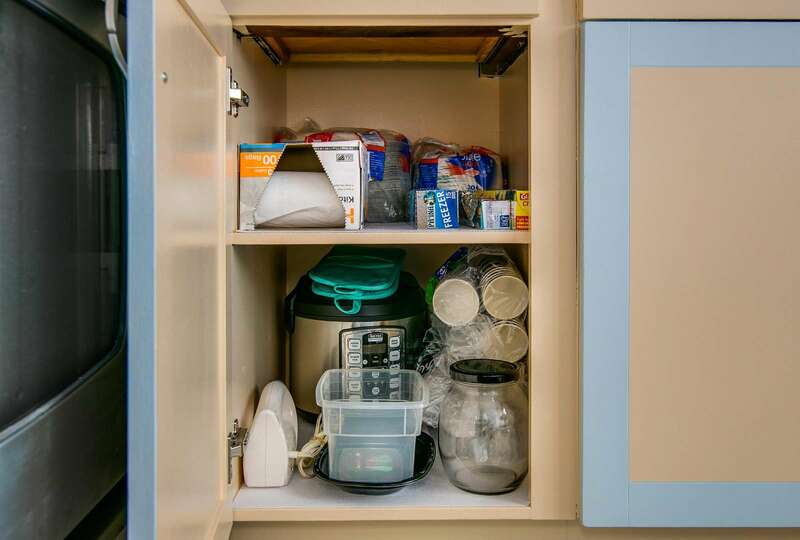 We tried to ensure you'll have everything you'll need during your stay Feel free to use what you need, a replacement is appreciated. 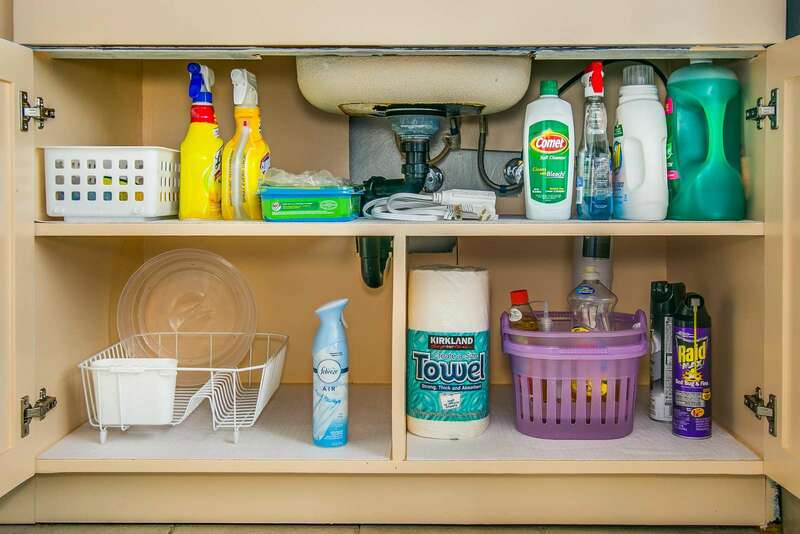 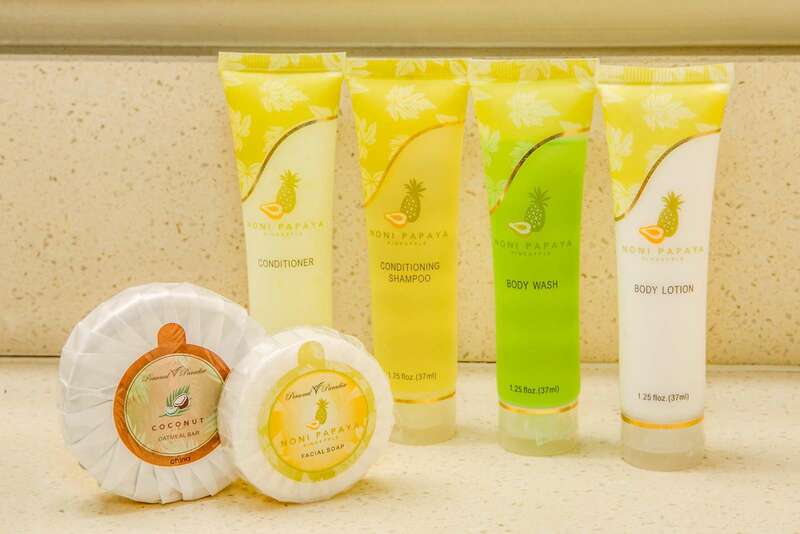 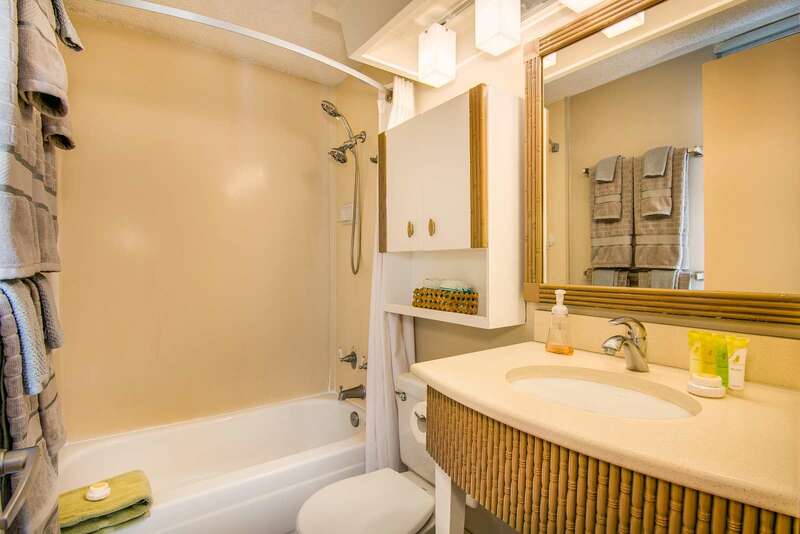 New Silverware Bright and super clean bathroom Shampoo and Soaps to get you started Great views - yes you can see the ocean 🙂 The building just behind our gardens have awesome eats Ocean views in the distance look even better in person. 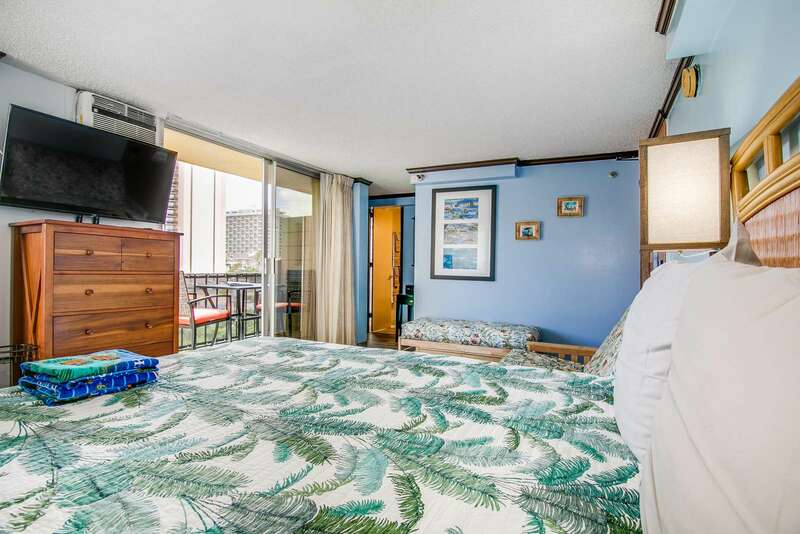 Boogie Board, Beach Chairs, Towels and a couple of snorkels sets if needed. 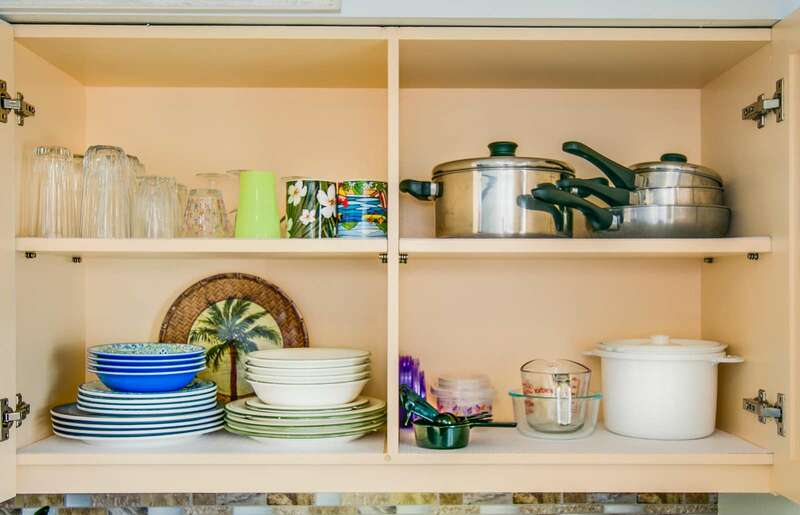 I love this Lanai to chat from when my friend is prepping dinner. 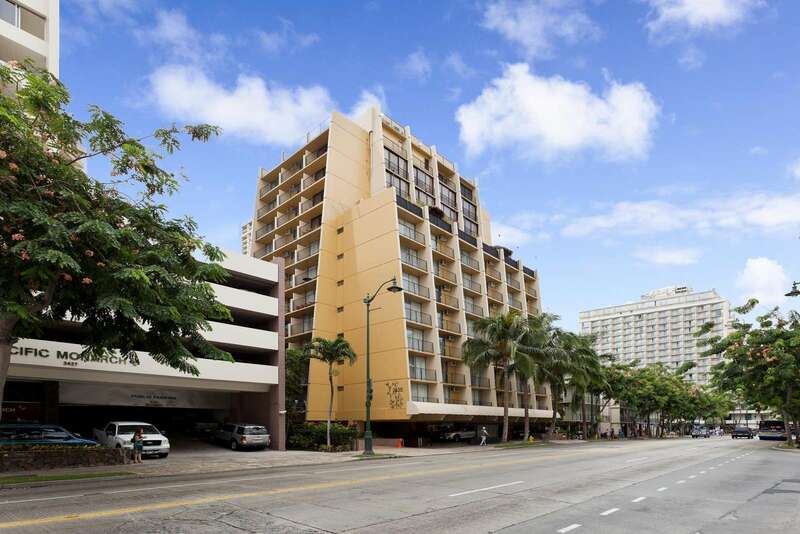 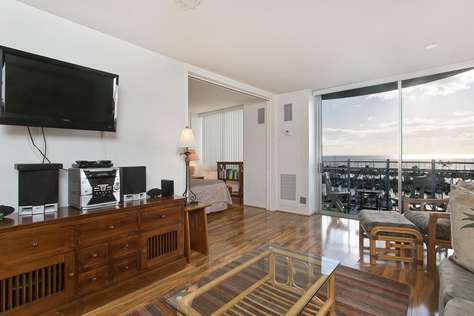 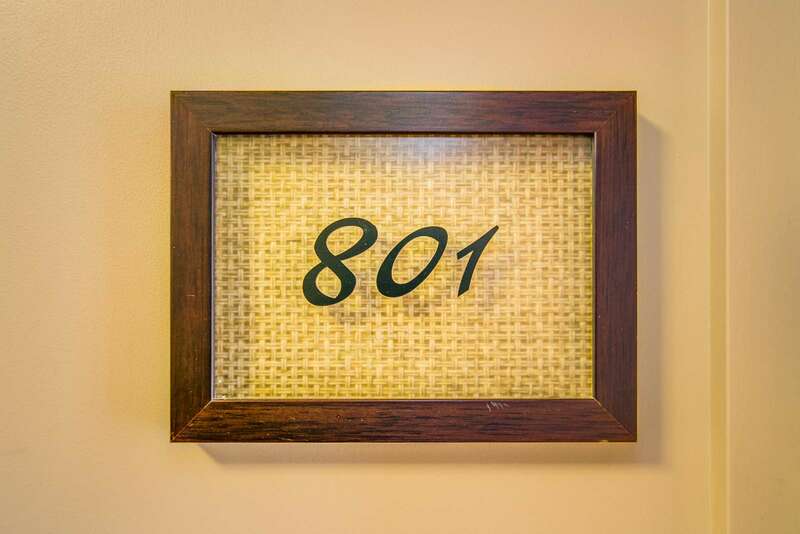 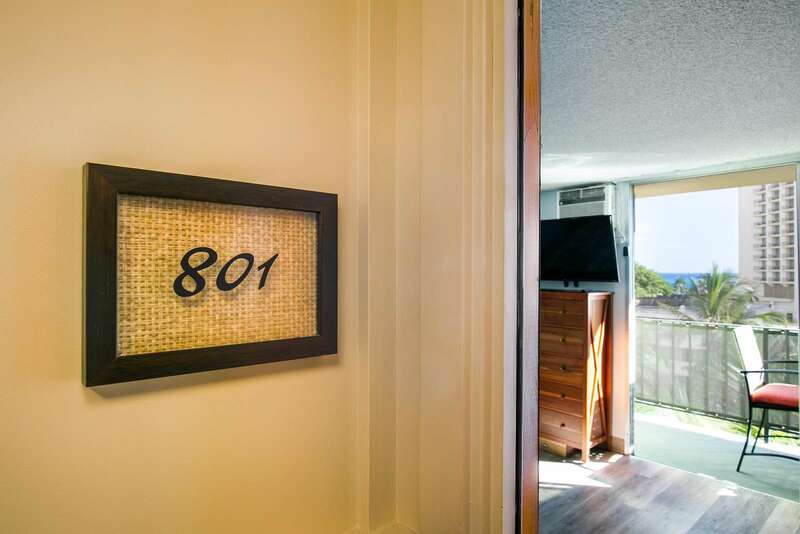 Come stay in Suite 801 at the Bamboo Waikiki We'll pop the lights and A/C on ready for your arrival. 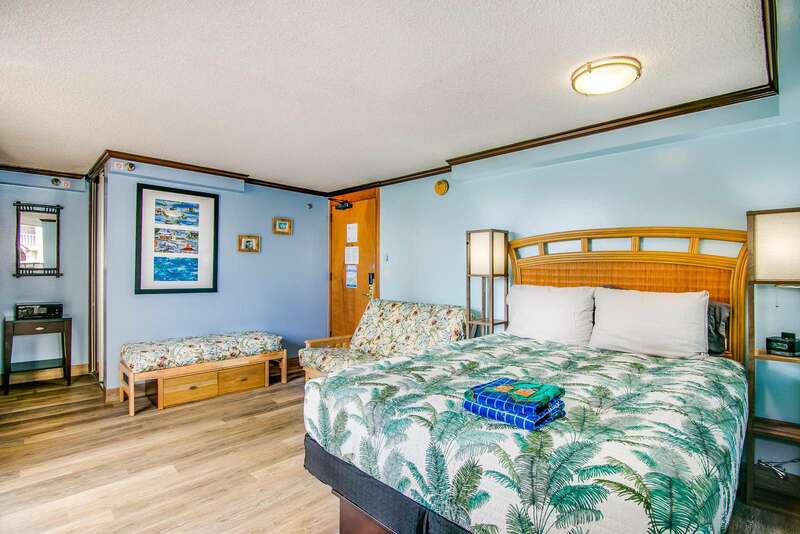 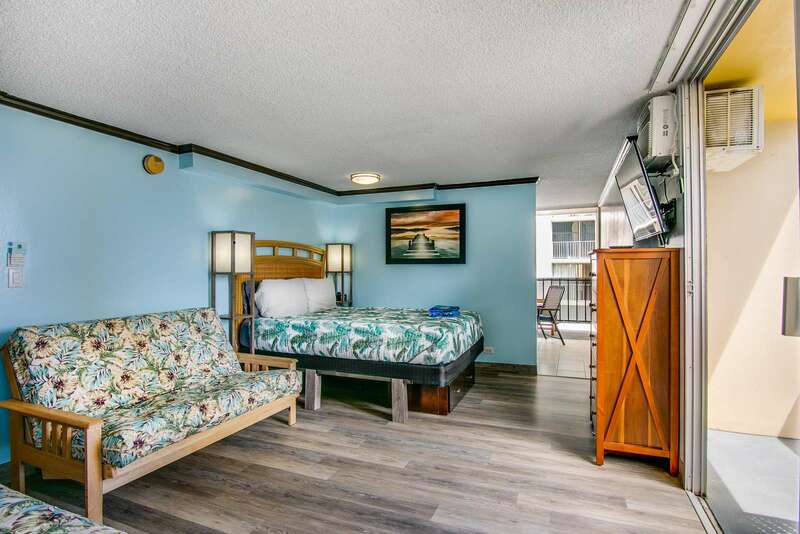 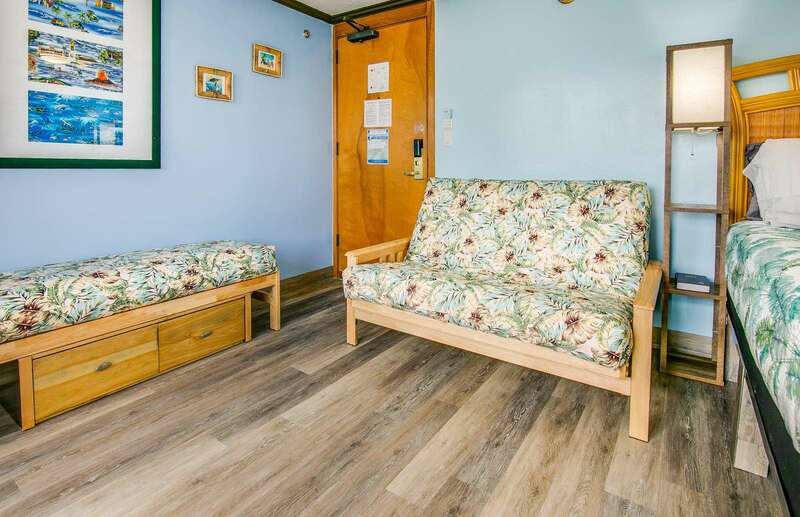 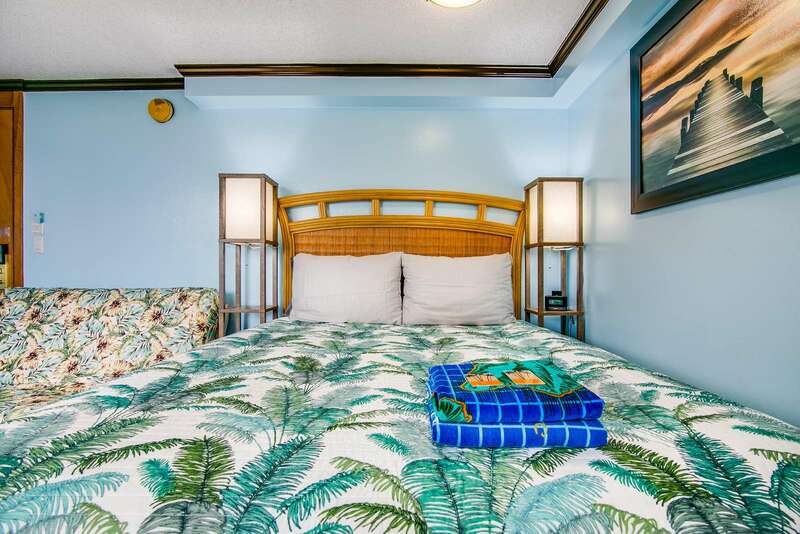 This queen bed studio (plus futon) suite is complete with a full kitchen including gas stove and oven, microwave, a coffeemaker, beach towels, beach chairs a comfortable queen size bed & futon. 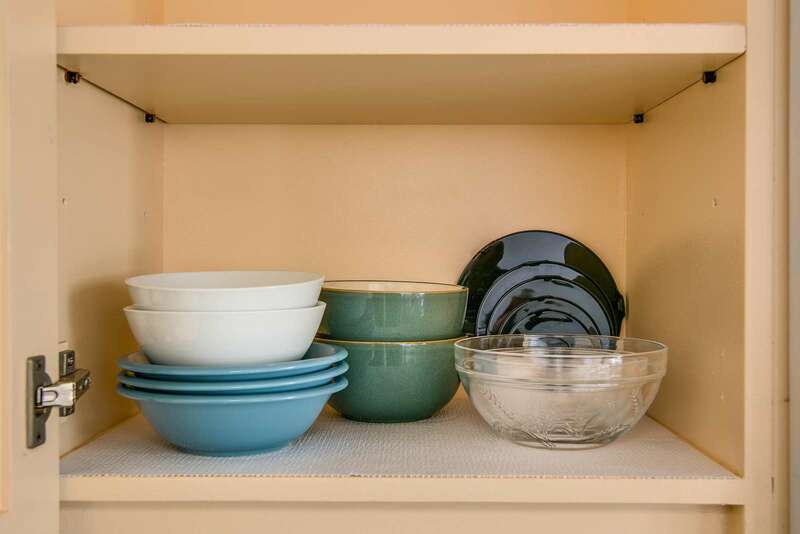 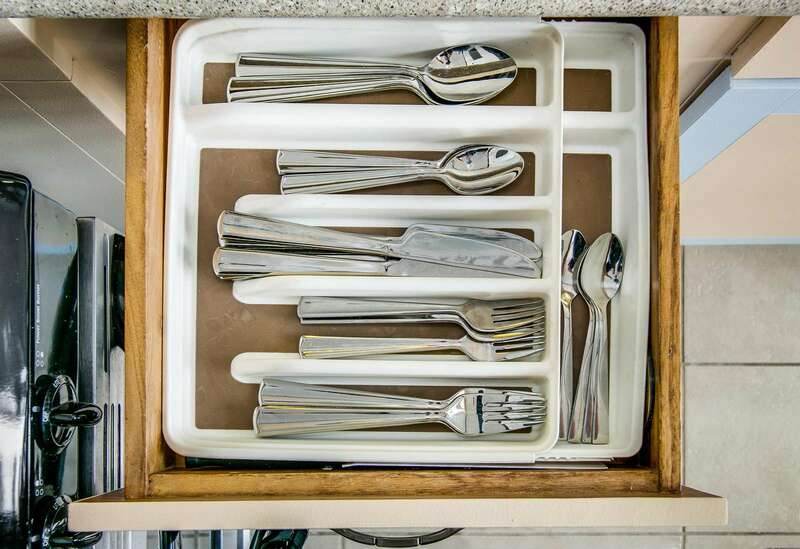 Perfect for those longer stays when you want to cook. 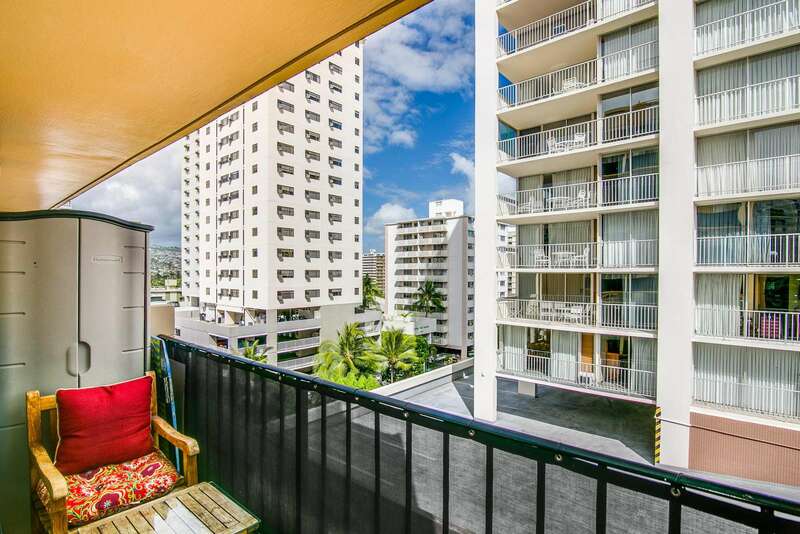 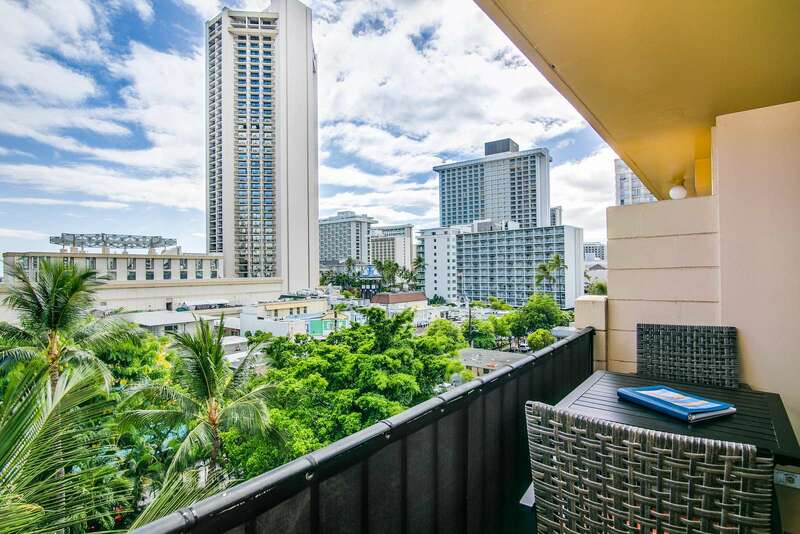 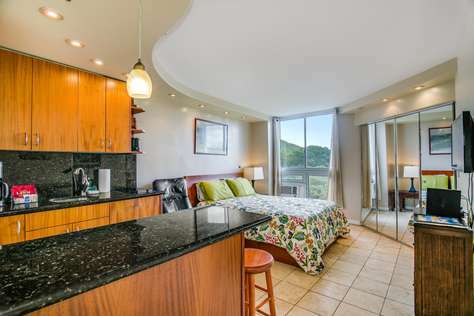 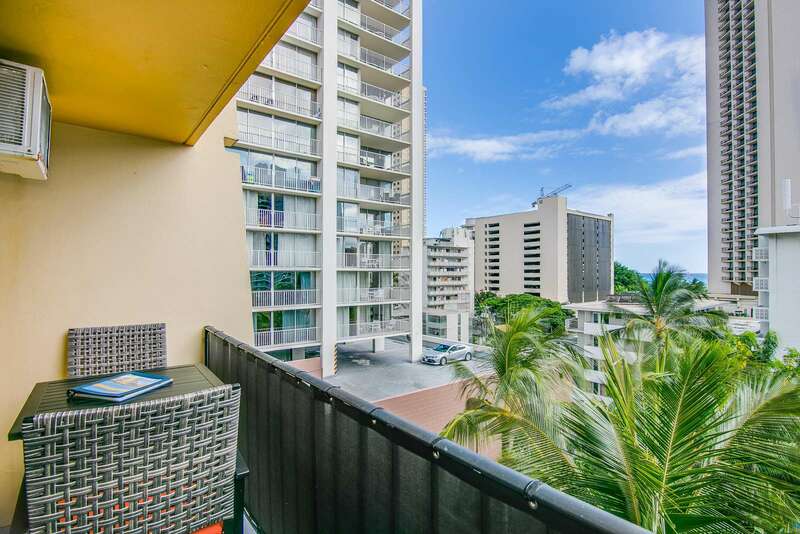 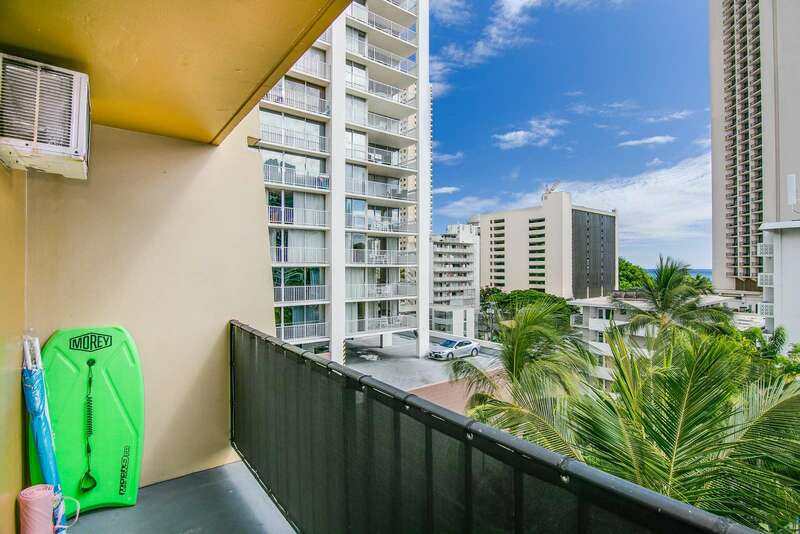 Enjoy one of three private balconies for coffee in the morning and the wall mounted TV for the few times your not out enjoying everything Waikiki has to offer. 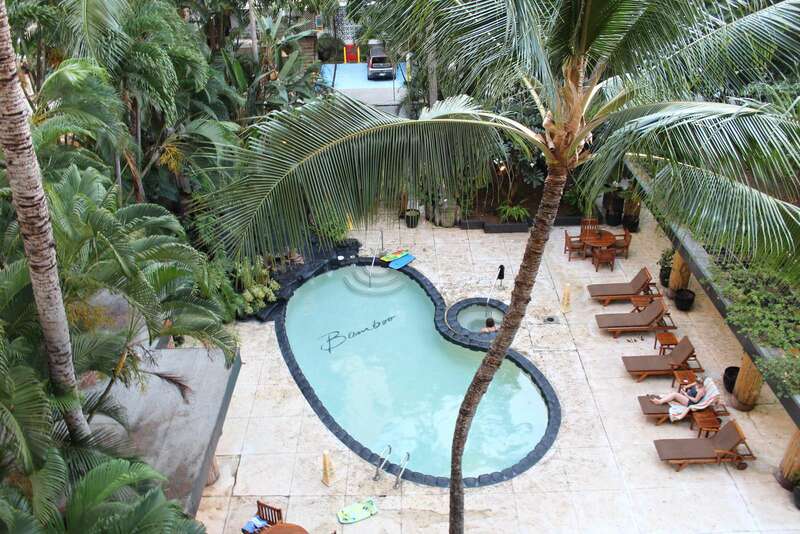 The Aqua Bamboo & Spa is often referred to as an Oasis in the Heart of Waikiki. 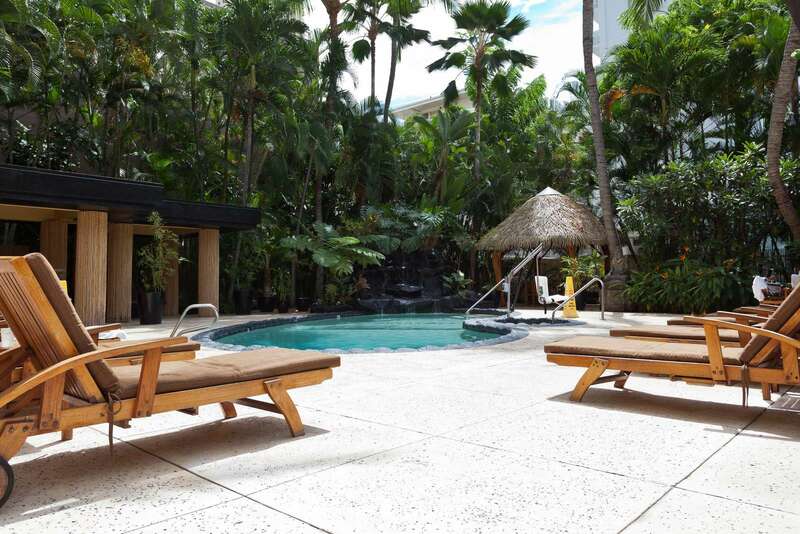 If you're looking for a relaxing day at the Aqua Bamboo, you'll love lounging on a cabana in the outdoor sanctuary. 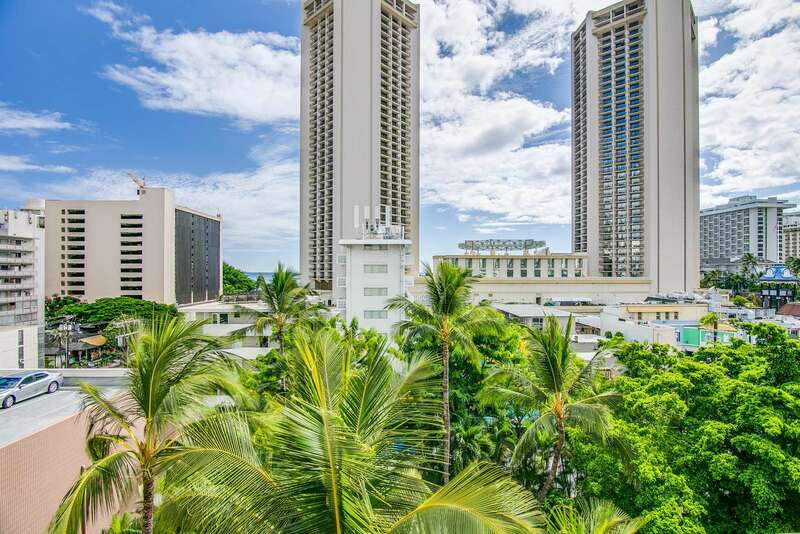 Cool off in the Saltwater Pool with calming waterfall, or take a dip in the hot tub, surrounded by towering palms and lush tropical plants. 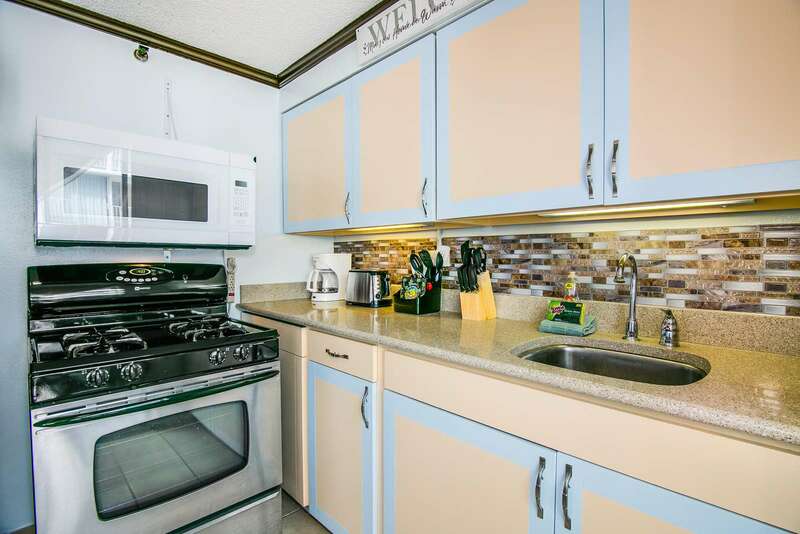 Have a delicious dinner at the on-site eatery or cook up your favorite foods on the bbq grill with food purchased from the nearby Food Pantry grocery store. 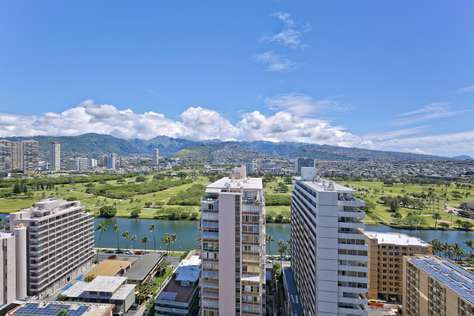 There are wonderful restaurants nearby, including the well known Cheesecake Factory; Hy's Steak House for a very special dinner; Tiki's Grill & Bar for great food, inexpensive drinks and Duke's Canoe House, oceanfront, food, drinks, with both places great spots for sunsets, people watching and nightly entertainment; and Cheeseburger in Paradise, always crowded, located at each end of Waikiki. 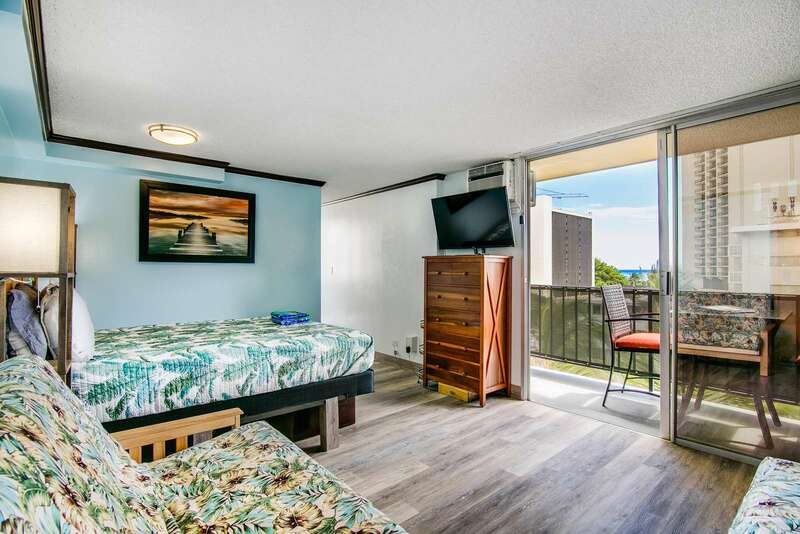 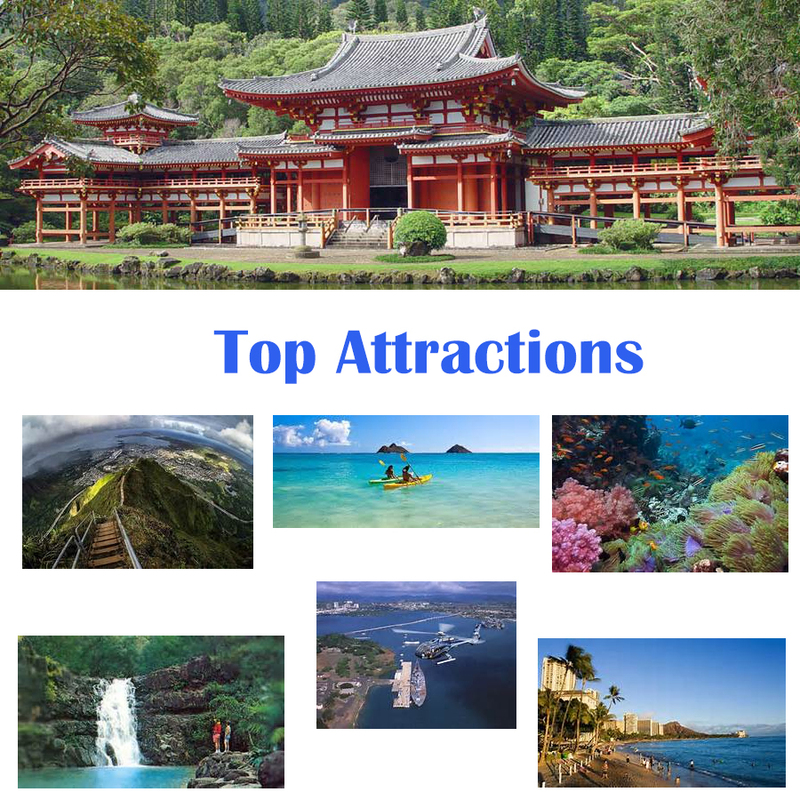 You can walk to the beach and all Waikiki attractions. 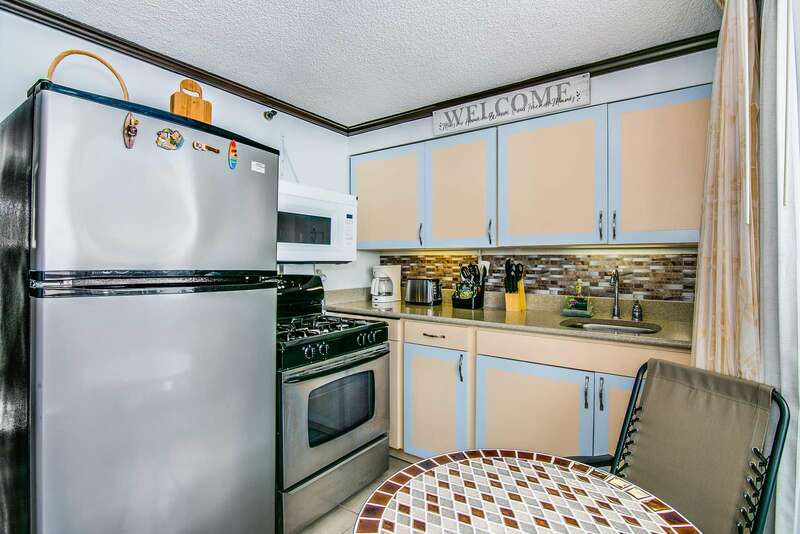 Parking is available for a daily rate in the garage next door.